After reading the fourth book by bestselling author Daniel H. Pink, WHEN: The Scientific Secrets of Perfect Timing, I will never schedule a doctor appointment in the afternoon again. Why? He clearly makes the argument that we receive far superior medical care with fewer mistakes in the morning. Pink’s book shows the reality of good and bad timing, and proposes that we can have more control over the outcomes in our lives by being aware of the effect timing has on them. Equally informative and entertaining, WHEN evidences the theory behind the science to perfect timing. Pink has done extensive scientific research on the topic. He not only gives his ideas about how time might play a role in the successes and failures in our lives and but fills the book with examples, graphs, and statistics. To illustrate his points, Pink also tells fascinating stories, some of which are historically important. For example, he begins by telling the story of the sinking of the Lusitania, comparing and contrasting it to the Titanic. While it has received much speculation as to why it was in harm’s way, including that it was put there on purpose to bring the United States into the war, Pink shows that despite all of the conspiracy theories, inquests, and investigations, it may have sunk due to a much simpler reason — a series of bad decisions, which were bad because they were made in the afternoon. One of the concepts I found most interesting involves how people have certain rhythms in which their bodies function most efficiently. Humans have categories of biological cycles, such as those who are early risers to those who are most awake and alert at night. Making up about 20 percent of the population, the “night owls” work on an opposite rhythm from the majority of people who function in the day. I find it fascinating that although the normal cycle of the day really doesn’t work for some people they can do exceptionally well when they pay attention to their own best circadian rhythm. Pink espouses that recognizing and following one’s unique best rhythm can be the key to effectiveness and happiness. This means understanding regular patterns to our daily moods. As predictable as the ocean tides, according to Pink our patterns include a peak, a trough, and a rebound. There exists a time frame in which we feel positive and energetic, usually lasting from the early morning until early afternoon, then a dip when we feel tired and less positive, followed by a rebound, usually in the evening. This hidden pattern runs beneath the surface of our daily lives, and when we understand it is actually a scientific fact of human existence, we can be tap into it as a resource for more productivity and happiness. In Pink’s groundbreaking book, he teaches us a valuable lesson about time management. Previously, I believed that I had good time management skills, but after reading WHEN, I realized how little I knew about the actual science of timing and productivity. 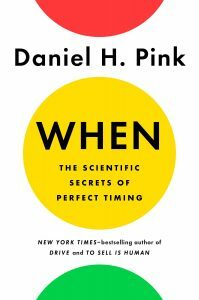 If you want more control over your daily life, read Pink’s explanation of the secrets of perfect timing. I didn’t expect to experience this seemingly scientific topic as such a captivating page-turner. Reading WHEN is definitely time well spent! 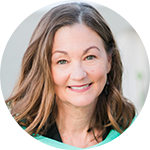 Melanie Davis of Laura’s nonfiction book review team is the bestselling author of The Triumph Book: HEROES. Childfree Introverts, Extroverts, or Ambiverts?